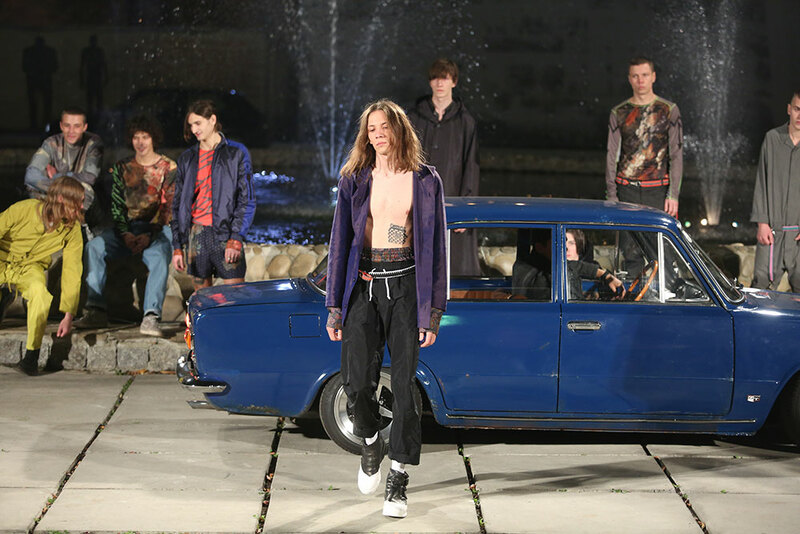 Sasha Kanevski established his eponymous brand in 2010, and channels the free spirit of raving in Kiev, but with a global appeal. Tailoring, functionality, transformable details and high-tech materials give his garments — which are worn by men and women alike — a contemporary urban feel. 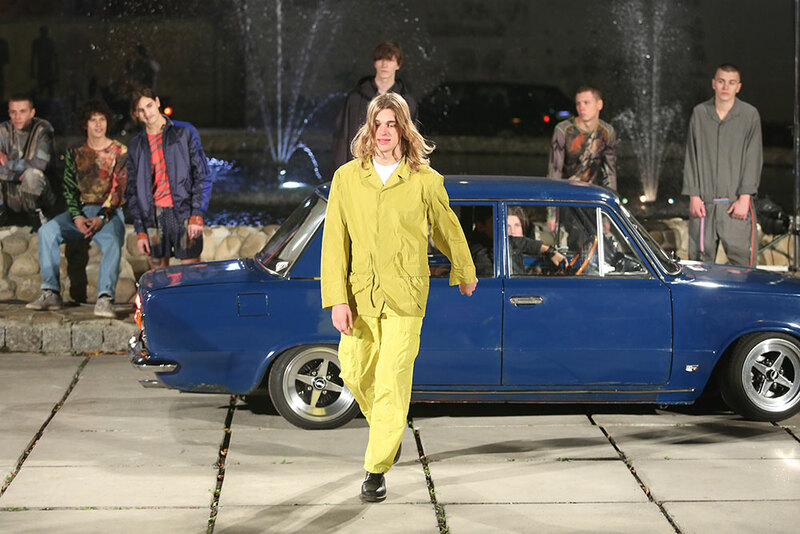 On the catwalk Kanevski’s collections are not only presented by models but also young creatives — the last two seasons, jumping out of cars or coming face-to-face in a boxing ring.